I know it's a pipe dream but puhhleeazze I'd live a 6th slot so I can bring one of each class. It absolutely tears at what little OCD I have in me having to leave one fighter at home. It'll never happen but one can wish. The point of having 5 bots is that you will have at least one bot without class advantage on the line. Imagine how easy will master be with full 5* R4 beast squad, without having to fight without class advantage. That dream of yours will simply ruin the game imo. 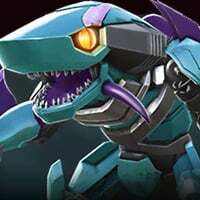 How about a sixth slot, not to fight, but to add synergy to the five main bots? Actually, I’d rather have this as a fourth slot for AM. Having one extra bot would...."ruin the game"? Yeah I'd LOVE to bring another bot to AM to complete some synergies. I know it's supposed to be a strategic choice, but I feel it would open us up to more challenging content instead of the physics defying "mods" we have now. 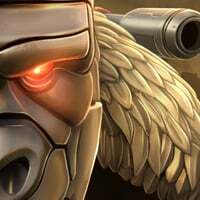 I used to look at maps and plan what bots to bring in based on class advantage. But after a while, it doesn’t really matter. What I would like to see for 8.0 is T4C. As I said imo. And yes it'll ruin it as in this case you can bring all the 6 different classes. Also there's the possibility to bring 2 bots from the same class so you have class advantage with two bots against the spotlight boss, without the class disadvantage if you had done this while with 5 bots. Also - more synergies. If this happens, everything else should be rebalanced - bots on all spotlights etc, as you'll now be able to bring even more synergies to your team. 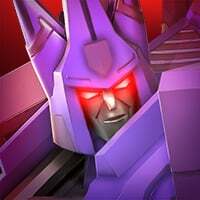 Just for example, my main squad consist of R4 5* Galvatron, Maxed 4* Shockwave, Cyclonus, Cheetor, Tantrum. 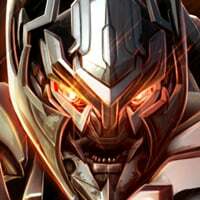 If there is 6th slot it will be: R4 5* Galvatron, Maxed 4* Shockwave, Cyclonus, Cheetor, Scorponok and Optimus Primal. 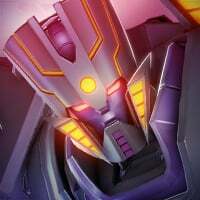 Beast purification on 3 bots, and Cyclonus, Galvatron and Shockwave huge damages from the other. This team will simply walk the park in master spotlight. So this is the sole reason to have 5 out of 6 - tactical usage of bots for the lines and different scenarios. With 6 you lose half of that and gain almost unbeatable team. Yeah but you can do that now. One extra bot won't give any huge advantage. I almost ALWAYS bring my maxed Shockwave..max forge/sig and pair him with Ratchet for the longer charges. I can stack him to a God with 5 techs and bugger if there's a demo boss....like this month. He's a monster. I want the extra slot to help ease my mental disorder lol. That's how you play your game. THAT doesn't make my argument invalid. Just like when players ask for buffs to bots without thinking how it will affect playing against the AI with those same buffs... Nobody stops to think about how synergies can break the game with a 6 bot squad. @ktomov is right. Having to choose is part of the strategy, and keeps things interesting. Why did I get flagged for spam? Some people just can't understand what spam is can they? Nah, just kidding. 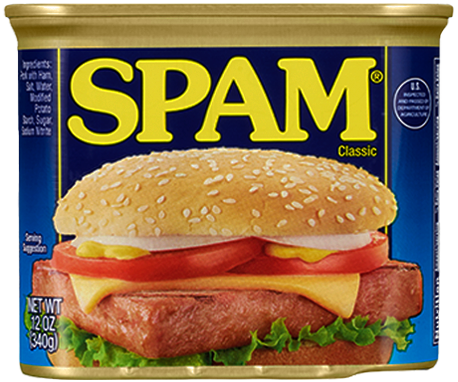 This is the appropriate definition of spam. It would be nice to see some decent rewards from Ancient Sanctum crystals...I don’t know why but pulling alliance revive after alliance revive really winds me up every time. I might've missed the news but...did they fix the release date for 8.0? My people are looking forward for the fix of garbage text (for the last time, as many said). It would be nice of they just allowed us to be able to play more than one mission at a time. For example being able to play a story quest at the same time as a monthly mission quest and a Class or generic Spark quests. It just doesn't make sense having to be stuck to one quest at a time. Remove 2-Stars from the Premium/Featured Crystals. They're easy forge food tho.